Fordham Prep has released its admissions decisions for the Class of 2023 by email. Applicants will receive a hard copy in the mail in the coming days. This is the culmination of the high school admissions season that began in September. 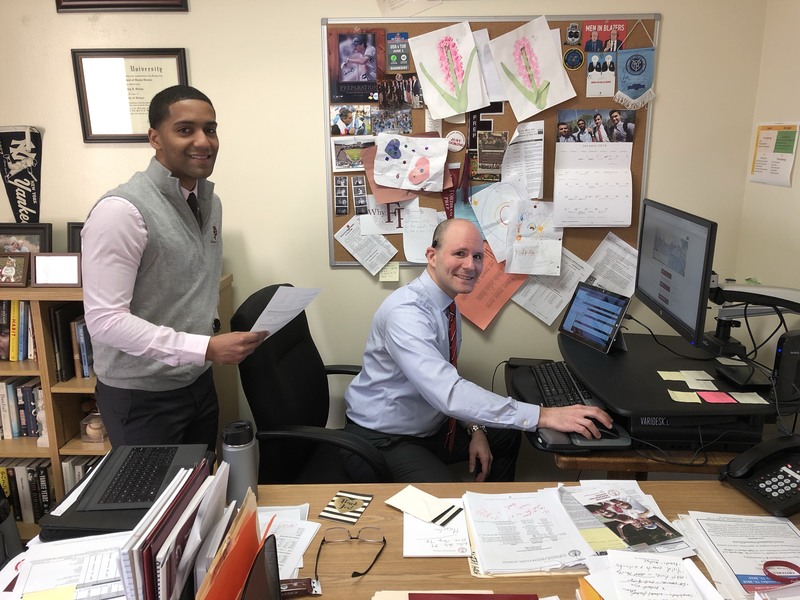 During the fall, Mr. Brad Serton ’95, Director of Admissions, and Mr. Corey Punter ’07, Associate Director, spent many days and nights on the road meeting prospective students and their families at high school fairs and in-class visits. The pair traveled across the tri-state area to talk about what makes the Fordham Prep experience so unique. This message hit home for many families across the region. Fordham Prep received applications from 12 different counties in the tri-state area and over 230 different schools. These included Catholic, public, private and charter schools. In keeping with the diversity of the applicants, 45% of the boys admitted identify themselves as persons of color. Eleven percent of admitted students had a father, grandfather, uncle or brother attend the Prep. Accepted students are invited to celebrate their accomplishments at the Prep’s Admitted Student Night on Wednesday, February 13, at 6 pm in the Leonard Theatre. The class will formally register on Thursday, March 7.